Last weekend was just a perfect weekend to be in Kiev. On Sunday they celebrated the final of the Euro, which by the way i want to take advantage of this post to congratulate all the people and players from Spain. But it is not only Football or “Soccer” (how they called it in America), its also good old Rock and Roll in the streets. 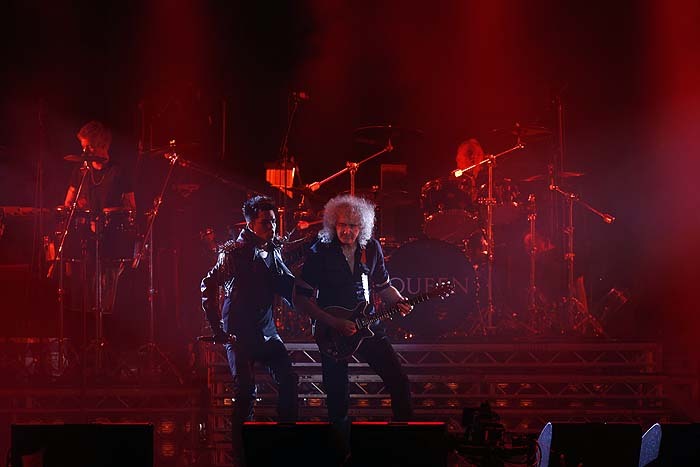 Queen returned to the stage Saturday (June 30) in Kiev as part of the ANTIAIDS benefit with Adam Lambert in the fold. The performance of the band as usual was outstanding, and we will be hoping for a tour and have the opportunity to see this live. Meanwhile here is the complete show of last Saturday. Enjoy the show. This entry was posted on 07/02/2012 by The Day Tripper. It was filed under News, Videos and was tagged with Adam Lambert, brian may, Queen, Roger Taylor.